Thomas Henley was born on 4 February 1860 at Wootton Bassett, Wiltshire, England, son of George Henley, an agricultural labourer, and his wife Margaret, née Seagle. On 2 July 1886 at Balmain Congregational Church, Sydney, he married Charlotte, daughter of Charles and Caroline Smith of Wiltshire, England. On 14 May 1935, Thomas Henley fell from the Manly ferry Barrenjoey and drowned. He was survived by his wife, two daughters and a son Herbert who became a member of the Legislative Council. He was buried with Presbyterian rites in the Field of Mars Cemetery, Sydney. Thomas Henley left his English National School early to work as a farm-hand. He migrated to Sydney in 1884 and worked as a plasterer. He invested in land at Balmain, Petersham, Five Dock and Drummoyne. He built himself Tudor House at Drummoyne and secured a tram-line, sewerage, electricity and sealed roads for the suburb. In 1898 he established the Drummoyne, West Balmain and Leichhardt Steam Ferry Company. He became a director of WR Carpenter & Co and the North Shore Gas Co. He wrote A Pacific Cruise after a visit to the islands. In 1908 Henley went to Europe as commissioner for the Franco-British Exhibition. In 1915 he volunteered as a commissioner for the Citizens War Chest to distribute comforts to the troops and served as Lieutenant Colonel with the AIF in Egypt, France and England until 1919. He left money from his estate to the Congregational and Presbyterian churches, the Salvation Army and the Sydney City Mission. Henley was elected Member of the New South Wales Legislative Assembly for Burwood, 1906-20, for Ryde, 1920-27 and again for Burwood, 1927-35. He was the Secretary for Public Works and the Minister for Railways and Housing in 1921. In 1922 he served as the Minister for State Industrial Enterprises. Thomas Henley was made CBE and a Knight of the Order of the British Empire (KBE) in 1920 for his war efforts. 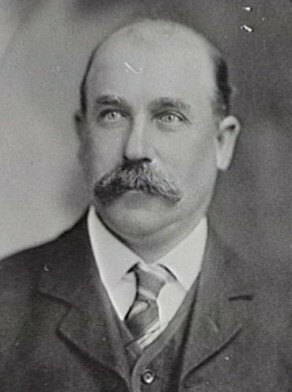 Thomas Henley was an Alderman for Drummoyne from 1898 to 1934. He was four times Mayor and was instrumental in the amalgamation of Five Dock and Drummoyne municipalities in 1902. Henley was Alderman for Lang Ward, 1 December 1902 to 30 November 1906. He was a member of the Finance Committee, 1903-06, the Parliamentary and By-Laws Committee and the Staff and Labour Committee in 1903 and the Electric Lighting Committee, 1903-06. He belonged to the Health and By-Laws Committee, 1904-06, the Works Committee, 1905-06 and the Parks and Recreations Committee in 1903. Heather Radi, ‘Henley, Sir Thomas (1860–1935)’, Australian Dictionary of Biography, National Centre of Biography, Australian National University, http://adb.anu.edu.au/biography/henley-sir-thomas-6637/text11433, accessed 14 January 2013.